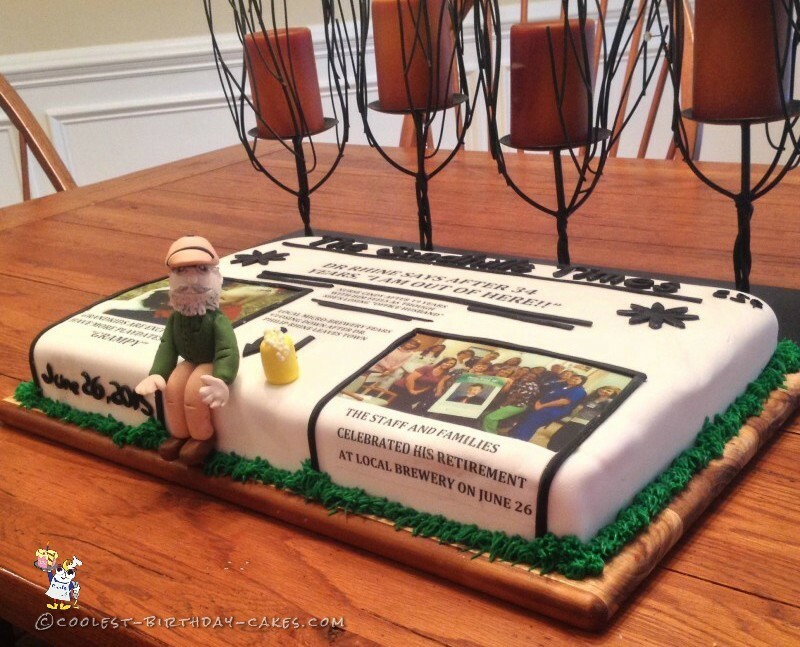 I wanted to make a retirement cake for a doctor who was retiring. 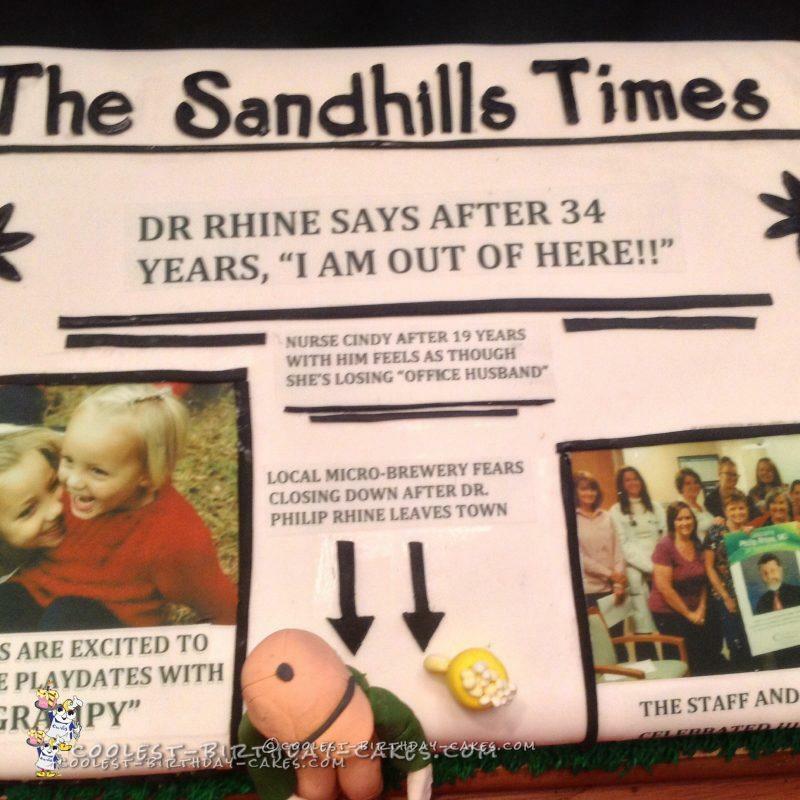 I worked with him for 20 years and planned to make a cake that would reflect what his life and be manly. 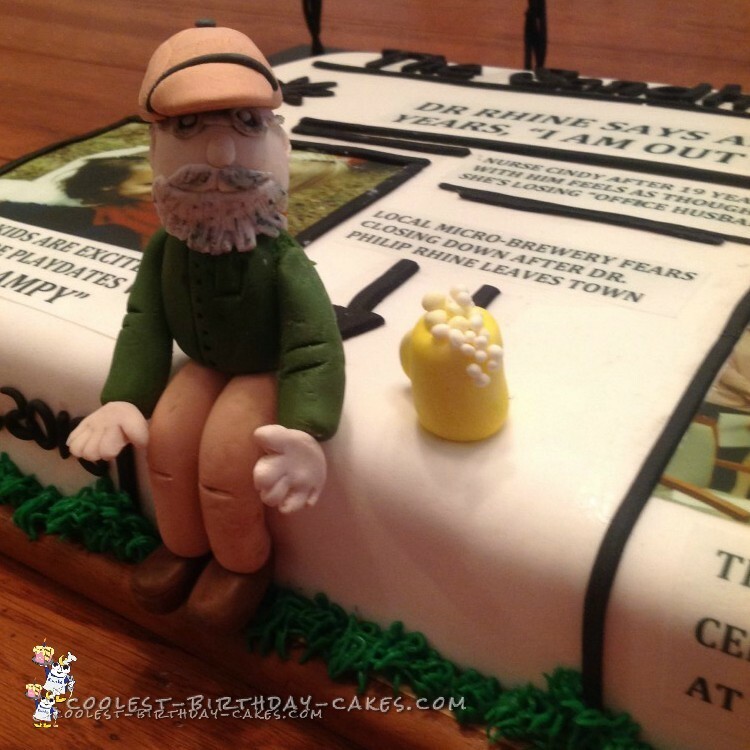 I could not do the typical hunting or fishing cake since he had no interest in either of those hobbies. He does like to taste a variety of beers at a local brewery and he loves his grandchildren, so I finally decided to go with a newspaper theme. I found a Guinness beer recipe for the cake and made it. I used a standard buttercream icing. I covered the cake in white fondant. I got two pictures (one of his grandchildren and one of his staff) and had our local bakery print them and a news headline on sugar paper. I made a fondant figurine of him and had him sitting on the top of the newspaper cake with a mug of beer! 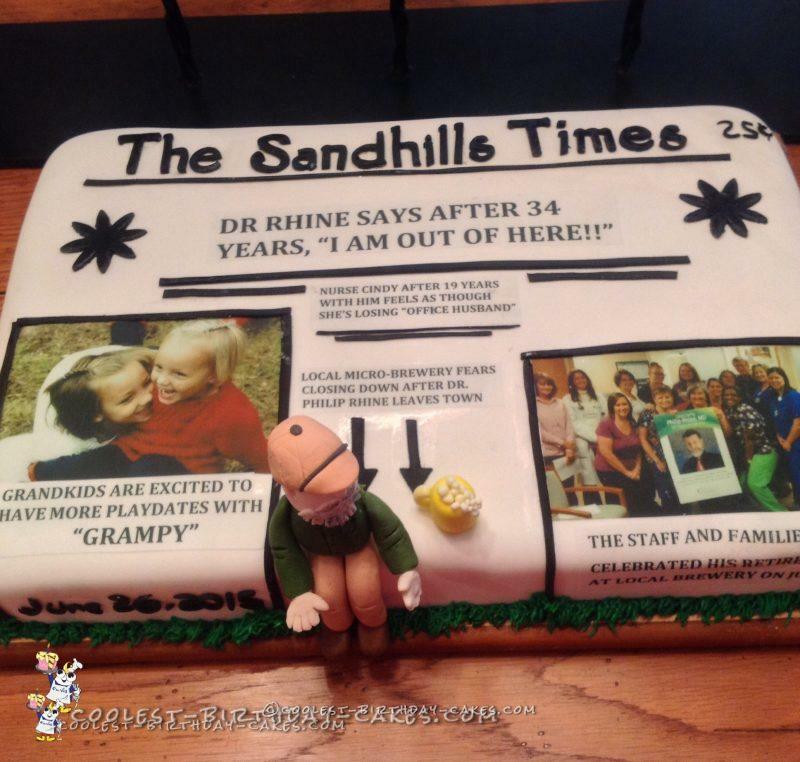 The doctor really seemed to appreciate the personalized cake and asked to take figurine home with him as no cake was left by the end of the party. Good news! If you want to replicate this idea, it is actually a very easy cake to assemble.